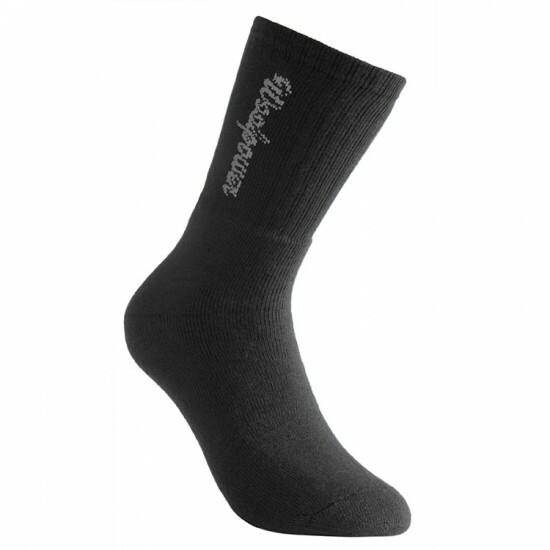 These Woolpower socks are manufacturered using their terry knit Ullfrotté 200-800g/m2 and the flat knit LITE fabric. Both of these knitting techniques provide excellent insulating functionality & retain warmth even when damp. The fabrics absorb and move perspiration away from the skin while still keeping the feet warm. They also contain polyamide which increases shape stability and durability. Woolpower have been manufacturing socks for all different temperatures, activities & situations since the early 1970’s. The continued experience & in-depth knowledge about how important it is to have dry & warm feet is reflected in Woolpower’s range.